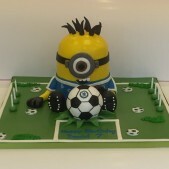 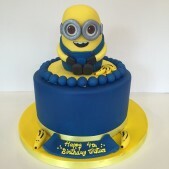 These Minion cakes are just the cutest! 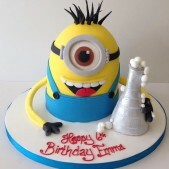 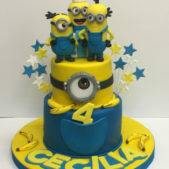 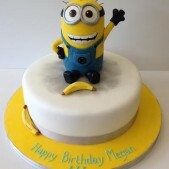 We love creating Minion birthday cakes as they’re such lovely and bright cakes they always brighten up our days! 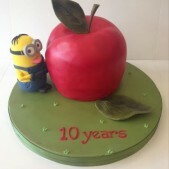 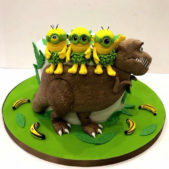 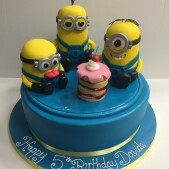 Bursting with personality, our minion cakes come in 2D and 3D versions and we’re happy to create cakes based around any of your favourite minions, be it Dave, Kevin, Jerry, Stuart or any of the horde.